Chelsea are currently fifth in the Premier League, outside of the Champions League qualifying positions (Getty Images). The sacking of Andre Villas-Boas proves that Chelsea is still a rich man's plaything but fans of the club should be grateful that owner Roman Abramovich is still paying attention to his footballing toy instead of leaving it, forgotten and unloved, at the bottom of the cupboard. Forget talk of Abramovich shirking his long term project. He was right to ditch a manager who took the 2010 English Premier League champions, last season's runners-up, a club that's only been out of the top two once in the last nine seasons, and left them struggling to qualify for the UEFA Champions League after eight consecutive years in the competition. Villas-Boas' oversaw just 19 wins in 40 games, giving him a win percentage of 47.5 per cent - the worst of any Chelsea manager in the Abramovich era. Those bare statistics make it irrelevant whether or not Villas-Boas was the victim of dressing room militancy, senior players with a more direct line of communication to the owner than the manager himself. Abramovich may have too many voices in his ear but, on this occasion, the whispering was correct. The core of Chelsea's squad is ageing but remains strong and Villas-Boas tried to change too much too quickly, according to his predecessor at Stamford Bridge Carlo Ancelotti in a recent interview with CNN. And before Ancelotti's comments are dismissed as sour grapes, remember the Italian has been a multiple league and European Cup winner as both a player and manager. Villas-Boas wasn't a professional footballer and came to Chelsea after one hugely successful season with Porto - the club with the best resources in Portugal. His former employers said the move had come too early in his career and I thought the same thing. I'll admit I was impressed by his first news conference as Chelsea boss. I watched him last summer charm the entire media pack with his eloquent grasp of English and youthful exuberance. It was echoes of 2004 when another brash, young Portugese coach breezed into Stamford Bridge but Villas-Boas has suffered by comparison. Maybe Abramovich now realizes that only the original "Special One" will do. If Jose Mourinho's house hunting in London, just days before Villas-Boas' dismissal, was a coincidence - it's an extraordinary one. Whoever the new manager is next season they will have money to spend. It's a myth to say Chelsea's owner has stopped investing in the squad. He's parted with over $280 million in the last two seasons. That's the biggest two year spend on new players since he first bought the club. Chelsea is still Abramovich's favourite football toy. He just needs to find the right playmate to share it with. I am leaving a comment because, its needed and it is well deserved for the time it has taken for someone to mention something. As mentioned on the above comment. Yes he has changed a few things and some too quick. However it is taking along time to understand, that the squad is getting old and they are not producing what they need to produce. Sorry, how many more Managers are you going to change, to understand that it is the players and not the manager. I will not compare how other managers a running their clubs. But the bottom line is the players and their statistics. how can you even think it was right to sack avb? the reason chelsea are not in the top 4 is because they bought torres for 50 million instea of buying youngsters or strikes peaking right now like shaqri from fc basel or eriksen from ajax or soldado from valencia so he avb could build a real team and move the older players outtah the club. they also sack every manager they aquire even if they win, they deserve to be outtah the champions league. abrvomiach is a terrible owner he could lrn something from stan kronkee of the gunners who contend every yr because they have a solid coach and dnt spend nearly as much money. fail chelsea is fail. avb had to go but Abromovitch should not have removed grant. abromovitch should get a manager that the players will respect maybe someone like riikaard. Okay so this is your opinion and that's fine, but surely sacking yet another coach and causing such disarray cannot be good for Chelsea. It's an ageing team in transition, so they will need stability and someone to bring through younger talents. The older players really need to look at themselves and how they behaved with Villas-Boas at the helm, especially Ashely Cole. I think most people would agree it was a move to soon for the Villas-Boas and he should've remained in Portugal for a few more years, but it's not the end for him, he looks a great coach and he'll get his chance elsewhere. Abramovich is so spoiled, can't wait on a few years to start collecting the goodies? He should fire himself for rushing things. I would've never fired Mourinho back then, just failing to win the champions league is not enough a reason to fire a coach. Dear All of You; Could you please stop disagreeing with Alex Thomas?! Surely you understand that as long as there is turmoil at the Bridge and the players are restless and demoralised, the other clubs can keep going and play real football and not having to put up with the Plastic Primadonnas from Stamford Bridge! I say – lets leave Abramovich to his established way of "owning" Chelsea, and the club will end up at the bottom in no time flat. There are other clubs waiting in the wings that have an attitude to the sport that are much more appealing than Chelsea's. Even if The Special One finds a place to rent in London, how long do you think he will last this time around? I totally disagree with this article! Chelsea is an old squad with formerly great players who are now on the way to retirement. AVB wanted to sign Modric, Falcao, Alvaro Pereira in order to refresh the roster and he was denied the funds Jose Mourinho had in excess when he joined Chelsea. If Roman did not sack him earlier why did he do it now so close to the end of the season ? Any manager who joins Chelsea now will want to dismiss Lampard, Terry, Drogba, Malouda, Kalou and Cole. Chelsea and it's players need to start looking in the mirror and stop blaming the coaches that have taken over for being such a collossal letdown. The players are petulant and old, the owner is rich and bored. Building a football team doesn't take months. It takes years. It took Ferguson 5 years to build a team that could win a trophy and he's won countless since. it took Wenger +5 years to build a team that could go a season undefeated. This is a grave injustice to AVB. They should have given him time. He proved he could do something special with what he did at Porto. And Chelsea will remain in disarray as long as the aged divas remain and they change managers every quarter. I think it is right that AVB was fired. His arrogance just like Mourinho is not good for the game. Chelsea had a good Manager in Ranieri, he got let go just when his team was ripe enough and guess who got to enjoy the results, Mourinho!! like he did in Inter, and now Madrid; all this teams were already on the rise and were destined for glory with their then coaches. So i dont think there's anything special about him. Verdict: Abravomich was wrong but his gamble worked. Chelsea had a good manager in Grant, He could have won the champions league if it wasnt for Terry's missed penalty. Instead he got let go. Verdict: Abra. was wrong. Because the person that followed (Scolari) did not really do a good job at all. Chelsea had a good manager in Ancelloti, he could have had a better season this year, and the next and the next because he is a stable coach. We dont need the special one because he cannot handle a team that is on low low, he can only handle teams that are on the top and look to win a trophy. This time chelsea is not doing so well and therefore the special one will not be able to take advantage of them the way he's taken advantage of Inter and Real and also the way he took advantage of chelsea. Verdict: we need a new coach but only one with humility and Strong enough to command respect. So it was right that AVB got fired. otherwise it could have been too late. Even though i know we will turn the table on Napoli and win the return leg. You truly have no understanding of the EPL, anyone who understands our league will verify that, irregardless of team loyalty. You cannot change a structure in which you are given a 3 year remit, and expect that within 8 months. Abramovich has not a clue, just look at the players that he "imposed" on his managers,Torres and Shevjenko to name just two. Nor can he recognize a good manager, Mourinho and Ancelotti to name just two. You seem overawed by his wealth which has been clearly documented as having been created through corruption and extortion, and this now makes him a footballing genius and messiah? Please do not comment on a sport in which you clearly have no understanding. How can Abramovich allow the senior players to have a direct line of communication with him? This is completely wrong. He should not communicate with any of the players whatsoever because if he does that then he undermines his manager. The players should listen to the manager and do whatever the manager wants on the field regardless whether they agree or not instead of sulking and complaining to the owner. Abramovich should make it clear to all the players that the club comes first and anyone who is not happy will be sold off, period. If Roman continues to run the club like this, allowing player power to flourish, no manager will last long and the club will decline. Your analyses is correct but do you think J. Mourinho will be glad to be back and will he be ready to take direct instructions from the Abramovich? I really think Chelsea need a miracle to be in champions league next year. I FEAL VERY BAD THAT CHELSEA IS NOT AMONG THE TOP 3 IN THE LEAGUE. This article is baseless ..... really where were chelsea before jose? What the club is doing now is settling back at their level. Jose took them out of and performed above their level. But only jose did that, no one else, before jose cfc was NOT a champions league club. So you think avb performance justifies his sacking? ooohhhh kay then. The roman will continue to use his plaything without getting the results he wants as cfc was never that good. Jose only made them appear to be that good. I will advice abramovich to let the coach run the club without telling them what to do. leaves Moyes and Deschamps who are two plain speakers unlikely to accept the owner's b.s; the relatively inexperienced Blanc; and Di Matteo, who was so desperate after failing as a manager he was prepared to accept an assistant's role at the Bridge. And even if one of them is lured by the money he will still have to deal with the fact that Chelsea's spine is as aged as the club's nickname. Drogba, Lampard and Terry have been great servants to the Pensioners but their time has passed and the occasional flashback performance can't disguise that fact. Chelsea need a solid centre half to play alongside Cahill, (Luis doesn't count as he's a gung ho midfielder masquerading as a central defender), they need an artist with grit in midfield (by which I mean Snejder not Modric because the latter is too similar to Matta), and above all they need a player who can muscle them some goals like Drogba used to do at the peak of his powers. Obviously, Abramovic has the cash to spend on such players but will he grant the new manager the autonomy to buy the men he wants or will he impose his own ideas? Furthermore, what top players will want to join such an unstable outfit, especially if the lure of Champions League football is not there? Certainly AVB was out of his depth but he wasn't the main problem. That dubious honor goes to RB, and he's not going anywhere. I am surprised at how people rate Chelsea. They were not a club to reckon with before Mourinho, and have never been since after then. All they had was extra cash to spend on players, good players then but who have passed their prime now. They do not have the pedigree to be where they wish they were. Period. AVB sack was long overdue, no doubt that some key players in chelsea are aging but the fact still remain that AVB technical capacity, human relation are questionable. Mourinho won the champions league with Inter with over 70% of the team above 30 years likewise ancelloti with ac milan in 2007. AVB always removes his best player on the field.if not for anything what is bosingwa doing in chelsea first team.He made a lot of errors. He should have sell most of this players rather than trying to say am in charge. Moreover some of this players are still relevant. sacking him will never solve the problem in Chelsea, am a die hard Chelsea fan in Nigeria. they should have given him two season to see how he can improve. sir Alex never became a hero the first day he came to Chelsea, it took him time to blend with his players. we now where our problem is. Well we cant deny that the sacking has come earlier than expected because we were all led to beleve that Roman was backing the long term ambition of club with a more realistic approach by affording time patience to the manger and overhauling the current squad. AVB however was not the man for Chelsea in my opinion for reasons other than results. For me the squad was changing drastically however the style of play and tatical approch had not and the balance was in question. Roman just has not learned any lessons. What Roman did wrong was clear from the begining. The buy quick and in bulk at any price attitude was always bound to fail as although it afforded instant success it also created the problem of having to have another massive squad overhaul. When you start on that method of management you end up spending more time weeding out the players that wont fit and be built upon rather than the more measured progressive balance of squad building you see at the likes of Manchester Utd. Mourinho was clearly on his way to turning things around however the lack of control over which players were coming in to the squad was obvioulsy the the major problem to his success. It does not have to be Mourinho but it has to be a manager with a fair amount of experience to take over now but they still need to be given time to let this surgery take place. I am sure that none of the people commenting above is a Chelsea fan. As football is emotional and baised it means they were enjoying the decline of Chelsea as they never loved their up-surge as a dominant fc in the last 8 years of premeaship. Chelsea' up-surge relegated Asenal and Liverpool from contesting for trophy for 8 years. Now, with the emergence of Mancity, they are no longer assured of european football if Chelsea remains viable, thus AVB must continue even when he is failing?. AVB may be a very good coach, but he is not the material for chelsea now. He lacked the experience to manage the issues Chelsea presented to him- (proper transition of aging players without extinction of the club). It was a difficult but not impossible task, that was why he was hired and paid highly. And now it is obvious that he could not deliver, the right decision is to fire him. I t may not be a popular decision, but that is the RIGHT DECISION. Only idlers know better how to spend the money they dont know how to make. RA is spending his money the way he likes, if you dont like it go and make your own money first and spend it the way you like. Well said Lucky! Frankly, AVB knew what was demanded of him. He charged for his services accordingly but did he deliver, No? He was simply hired to manage whatever was thrown to him. Obviously he was way out out of his depth! Chelsea needs Manager who could deliver on short range basis...how else can you explain the huge pay and severance dues. Chelsea issue is only for men who make money and knows how money serves its' owner. Period! Unfortunately the thirst for immediate European success is at the heart of the problem. Anything less than this will never satisfy Roman. He may love the game but his expediency to win is his achilles heal. He should have allow AVB time to develop a much more youthful squad for long term success. His ageing starts obviously resented the fact that AVB was going to start putting them to pasture. This realization was enough for them to want him out. At least it may give them another year or two as Roman continues to seek a manager who will give him European success at first go. You guys know what? Whwn Manchini the manager of the Man city was worse than the AVB when he first assigned . So I think Roman and fans needed to wait little more. AVB is very young. He has a long way to go. He'll be back strengthened and wiser. 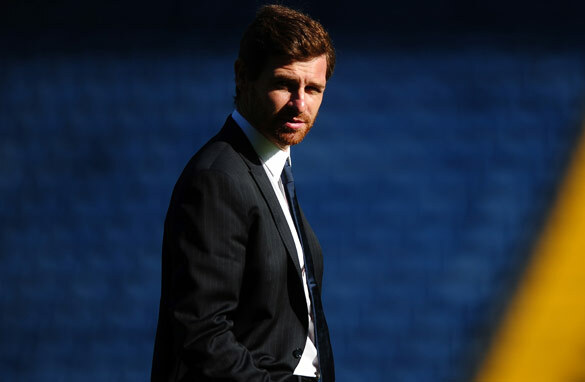 There is lot more to come from the dynamic AVB. Good luck. chelsea needs a manager like abramovich...he alone knows what he wants and how he wants it. Chelsea needs new players. Terry(really),Drogba(junk),Rampart(played along side jesus), have all passes their expiration date. A.v.b was not ready for the big league yet but that crazy Russian wants miracles with a dinosaur team. all the talk bout AVB not being ready is not entirely true...if chelsea will always be in a transition(coach wise) mood this season will replay itself in years to come...someone whisper in RB's ear and tell him to find a coach and stick with him and this issue of sticking with older players it only works if they are constantly performing e.g Ancelotti at Milan..
u guyz should stop talking about the ageing of the players. if a player can produce result and influence the winning of a game, then believe me the player is still a good player no matter his age. take a look at inter and ac milan they've been using the same set of players for years now but the right and good coach coaches the players to win any game. terry, lampard and drogba are still able to bring the spirit that the team needs. with those guyz present in a game chelsea still has chances of winning no matter the score line. Well avb was too young to handle a club like chelsea,so sacking him was right.now who nest?